When will be C.P.O. Sharkey next episode air date? Is C.P.O. Sharkey renewed or cancelled? Where to countdown C.P.O. Sharkey air dates? Is C.P.O. Sharkey worth watching? This series was set at the Navy Training Center in San Diego, California. Comedian Don Rickles portrayed Chief Petty Officer Sharkey who was a 24 year veteran of the Navy and was now in charge of the new recruits. 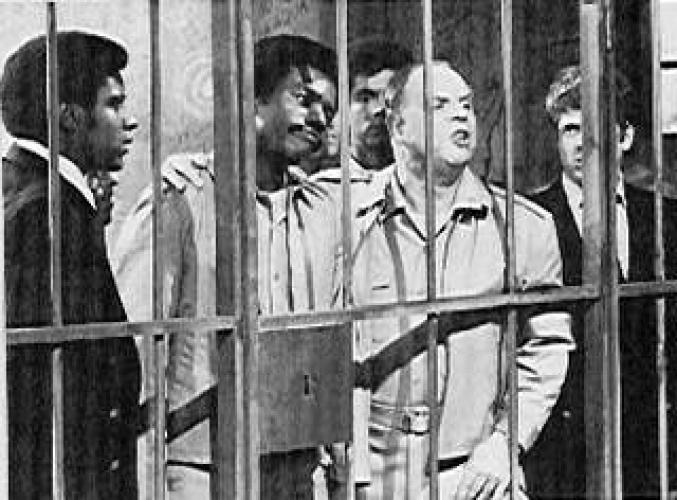 This series played perfectly for Rickles insult comedy that is his trademark since most of the recruits were from various ethnic backgrounds and stereotypes. However, Sharkey had a heart of gold when it came to consoling the recruits who were missing home. After the first season, the character of Captain Quinlan (Elizabeth Allen) was replaced with Captain "Buck" Buckner (Richard X. Slattery). However, the move did not help in the ratings, as the show was canceled in it's second season. EpisoDate.com is your TV show guide to Countdown C.P.O. Sharkey Episode Air Dates and to stay in touch with C.P.O. Sharkey next episode Air Date and your others favorite TV Shows. Add the shows you like to a "Watchlist" and let the site take it from there.